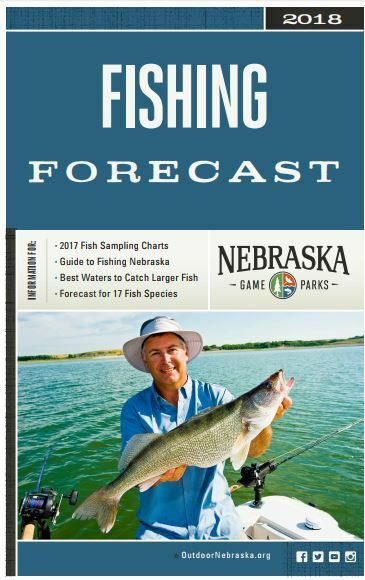 Our Nebraska Game & Parks Commission fisheries professionals are always busy doing something. Each season brings a different set of jobs and duties. Autumn is when much of our fish population sampling is done, and our field biologists are on the water throughout the state right now. Yes, that work goes on in the rain, sleet, snow, wind, whatever. We do some sampling for species such as black bass and sunfish in the spring, and there are a few other exceptions here and there, but most of our fish population sampling occurs in the fall. I often tell folks that it ain’t rocket science, but it IS fisheries science. The fish population sampling we do is conducted following scientific procedures. Yes, there are always “curve balls” from “Mother Nature” and her wild creatures, but rigorous scientific protocols can account for variability as much as possible. For example, we know how much effort is needed to collect statistically valid data and we can reduce variability by sampling standard locations at about the same time every year. 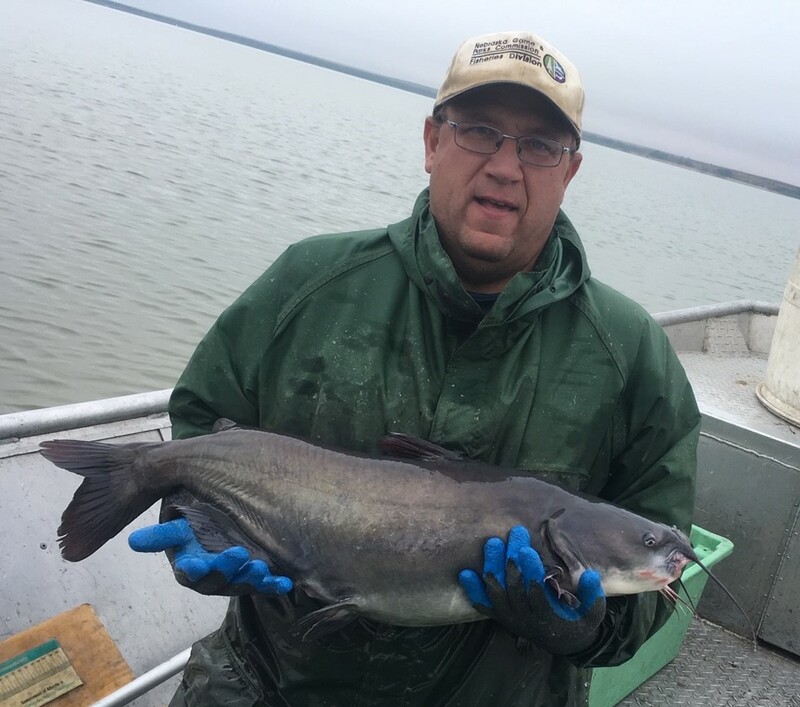 If you want a more thorough description of how our fisheries biologist sample fish populations, take some time to go back and read this NEBRASKAland article “Survey Says”. 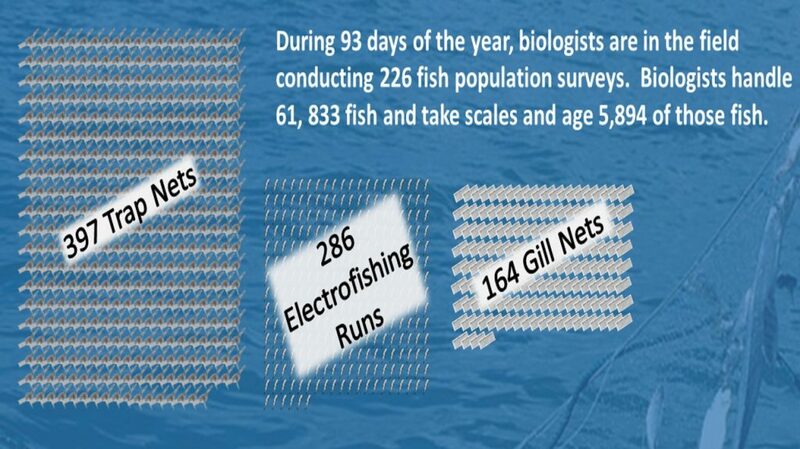 You all know that we use the fish population sampling data to produce our annual Fishing Forecast, and I believe that is a great side benefit to our field work. However, the value of the fish population sampling is far, far more than that. 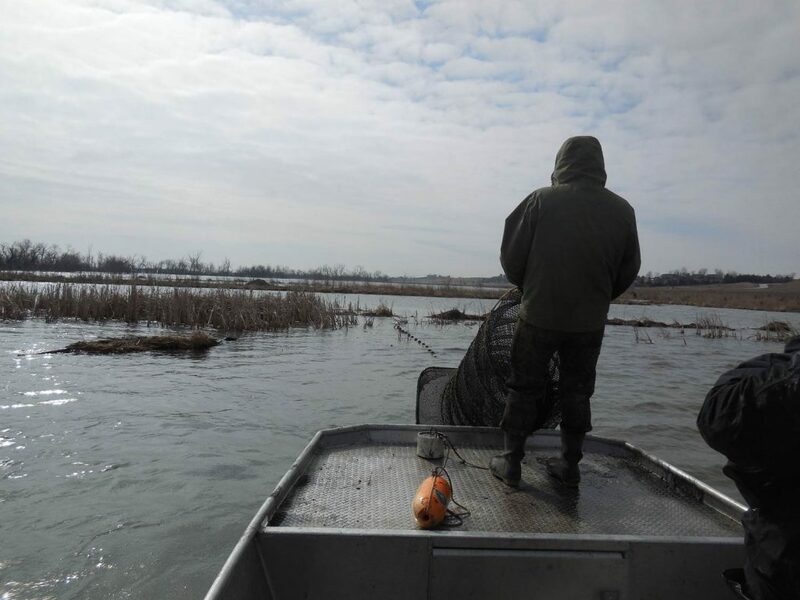 Without that sampling we could not monitor the health of our fisheries or evaluate fisheries management practices like habitat rehabilitation, fish stocking and harvest regulations. The data we collect is worth its weight in gold! Graphic provided by Keith Hurley, thanks Keith! Yes, when you handle 61,833 fish, you come home smelling like fish, frequently. If you are on the water this fall, you might see the nets set, look for marker buoys and if you see them please stay clear. You might even see the crews. They may be busy and not in the mood for a long conversation; give ’em a wave and know that we all are very passionate about the health of our fisheries resources and the quality of fishing our waters can produce! Photo by Caleb Huber, thanks, Caleb!